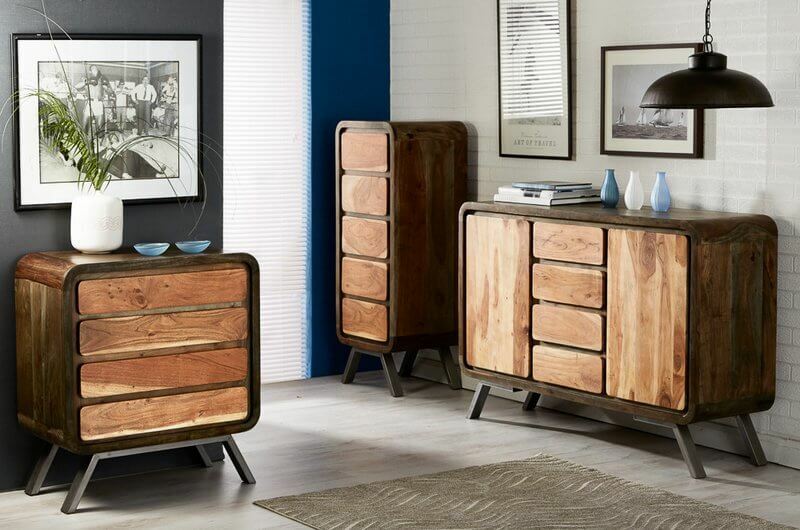 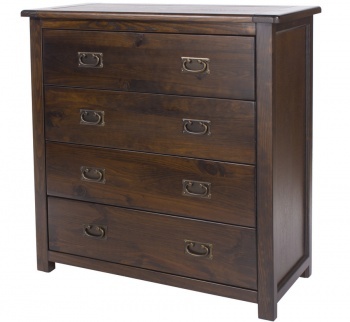 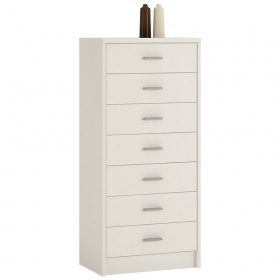 Stylish retro narrow chest of drawers with gently curved edges and angled legs. 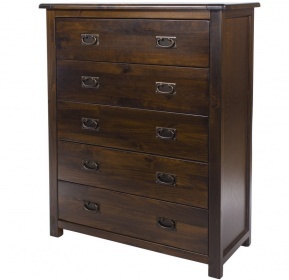 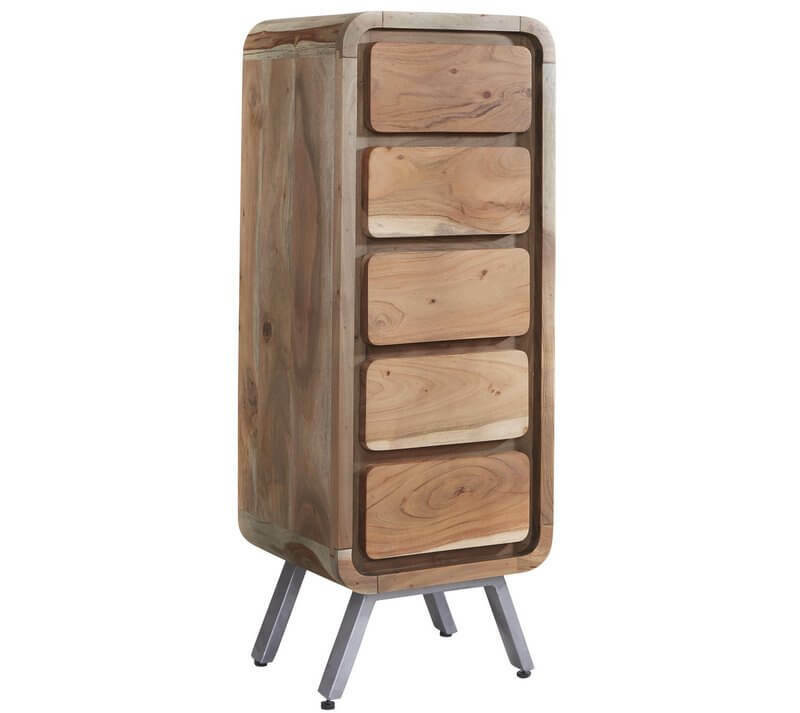 This chest of drawers provides you with a generous amount of storage space for its small footprint. 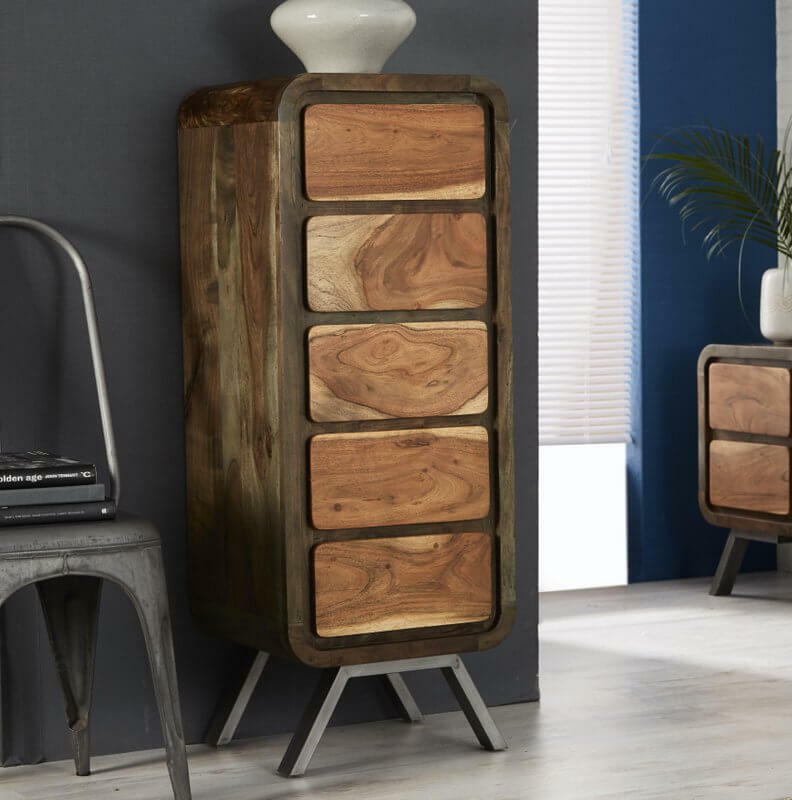 Perfect for creating extra storage space in any room of your home. 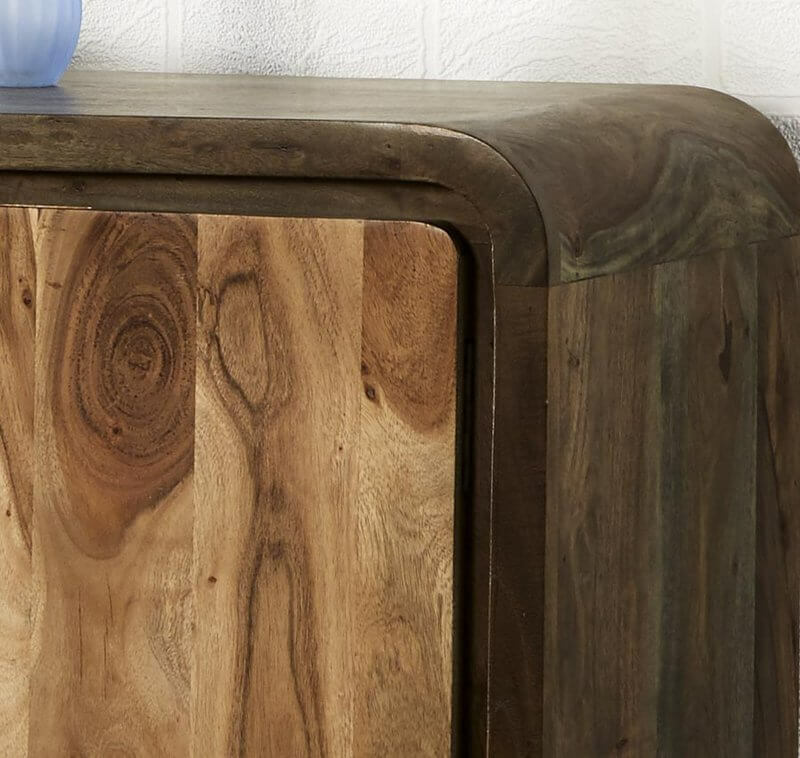 Looks stunning too.